THE FC200M IS PART OF A FAMILY OF HIGHLY SOPHISTICATED DIGITAL IMAGING SYSTEMS, THAT ARE BY PRODUCTS FROM A SERIES OF COLLABORATIVE STUDIES IN LIGHT, OPTICS, AND SAMPLE TRANSPORT, CARRIED OUT WITH THE COOPERATION OF THE UNIVERSITY DE LIEGE IN BELGIUM. This high resolution imaging technology, is accomplished in part, by using special backlighting techniques focused from behind the sample. An adjustable range, monochromatic, blue light source has been shown to provide optimal contrast conditions for the particles, and virtually eliminate diffraction. The light is collimated, and acts as a high definition caliper. In the case of liquids and suspensions, the light flashes simultaneously with a high speed, high definition camera, for extremely robust particle definitions. 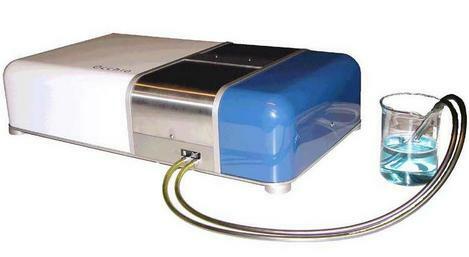 FC200M AUTOMATIC PARTICLE CHARACTERISTIC ANALYZER DEDICATED TO ANALYZING PARTICLES IN SUSPENSIONS. 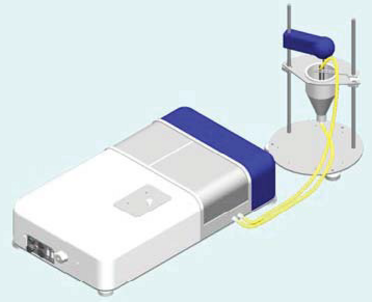 A SPECIAL MEMBRANE PUMP CAPABLE OF TRANSPORTING 0-2,000 ml PER MINUTE, IS USED FOR APPLICATIONS WHERE PARTICLE BREAKAGE IS A CONCERN. THIS EASILY MAINTAINED PARALLEL SLIDE FLOWCELL, CAN BE ADJUSTED FROM 50 MICRONS TO 1 MILLIMETER, WITH SPECIAL SPACERS, TO ALLOW FOR THE ACCURATE ANALYSIS OF MATERIALS DOWN TO 200 nm IN SIZE, SUCH AS PROTEIN AGGREGATES. 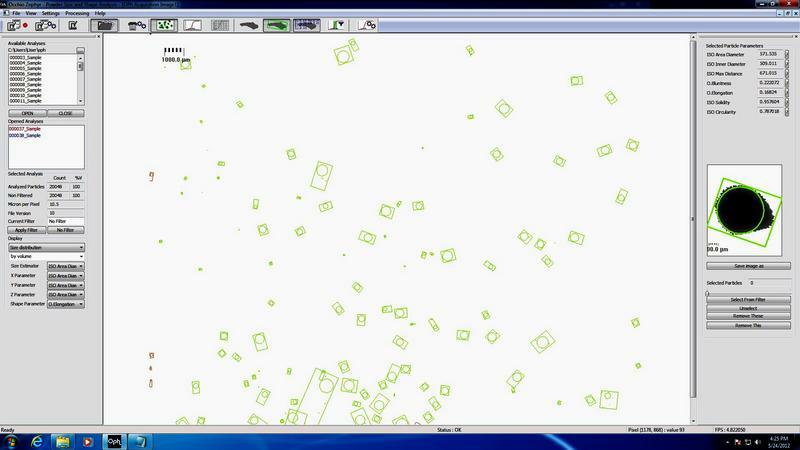 THE EASY TO USE CALLISTO SOFTWARE ALLOWS FOR ROBUST PARTICLE CHARACTERIZATION WITH THE CLICK OF A MOUSE, INCLUDING SEVERAL NEWLY DEFINED SHAPE PARAMETERS. NEW ADVANCES IN HIGH RESOLUTION IMAGING! THE SAMPLE IS DRAWN BY A PURPOSE SPECIFIC PUMP.